December is Human Rights Month, an observance established by the United Nations in order to raise awareness of, promote, and protect the equality of the world’s citizens. Following World War II the United Nations General Assembly put forth thirty articles covering rights of education, freedom, health, and more. These articles serve to protect people in times of war and peace to help ensure that all people around the world are allowed to live in freedom and safety. It takes vigilance, compassion, dedication, and determination, but achieving the goal of equal human rights is a responsibility we all share. Every day millions of children around the world go to school, but schools can vary from place to place. Some classes are held in large buildings with libraries, science labs, and computer rooms while others gather in small buildings or even outside. “Schools around the world may be very different, but children everywhere like to have friends and learn new things.” In School Days Around the World, readers meet children from thirteen countries to learn what their educational day is like. Image copyright Alice Feagan, 2015, text copyright Margriet Ruurs, 2015. Courtesy of Kids Can Press. Camilla is from Germany. Her older brother Johannes lives at a boarding school during the school year. He shares his room in an old stone house with three boys. Everyone eats together and cleans up afterward—just like in a family. In class he learns “about nature and science. They also learn how to sail.” Camilla can’t wait until it’s her turn to go to school. If you visited Annika at school in Copenhagan, Denmark, you would probably spend most of the day outside. Some days the students take a bus to their forest school. There the “run and climb on an old boat.” They “play on swings and with a ball.” Outside they also listen to birds and learn about plants and insects and other parts of nature. While Annika enjoys spending cold days outside, Ana’s days are usually warm. She lives in San Luis, Honduras and walks an hour from her home in the hills to her new school. Inside, two teachers show the children how to read and write. Sometimes, Ana says, “a nurse visits our school. She teaches us how to brush our teeth and stay healthy.” One day a van delivers backpacks full of school supplies, books, and even running shoes. In Alberta Canada, Shanika goes to a First Nations school where she learns her traditional Cree language along with math and language arts. After lunch, they hear stories, and elders teach them “powwow dances, drumming and how to raise a teepee. They also hold feasts where there are prayers, and the whole community shares tea, soup, bannock loaded with beans and cheese, and berries. You can also spend school days with Lu in China, Alina in Kazakhstan, Mathii in Kenya, Bilge in Turkey, Luciano in Venezuela, and Amy and Gwen in Alaska, USA. In her short, engaging stories based on the lives of real families, Margriet Ruurs takes readers globe-trotting with new friends to show readers a typical school day in cities big and small. The details of each child’s experience—both familiar and unique—help readers learn more about their peers, promoting greater empathy and understanding now and for a better future. Alice Feagan’s cut paper collages are full of joy and personality as kids dance, play, read, and study together. While the students’ clothing, lunches, and school buildings may differ from country to country, readers will see that the enthusiasm to learn is universal. 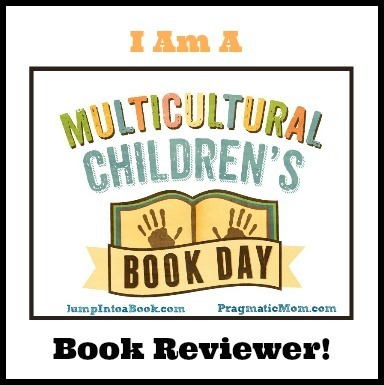 A world map at the beginning of the book points out where each featured child lives. A discussion following the text gives teachers, homeschoolers, and individuals tips on using the book to expand on the stories told. A glossary provides definitions and a pronunciation key for the native words found throughout the book. School Days Around the World offers a wonderful opportunity to jumpstart lessons on world customs and geography. Discover more about Margriet Ruurs and her books as well as activities for teachers and readers on her website! You’ll find more about Alice Feagan and a portfolio of her illustration work on her website! Having friends from all over the world is fun! 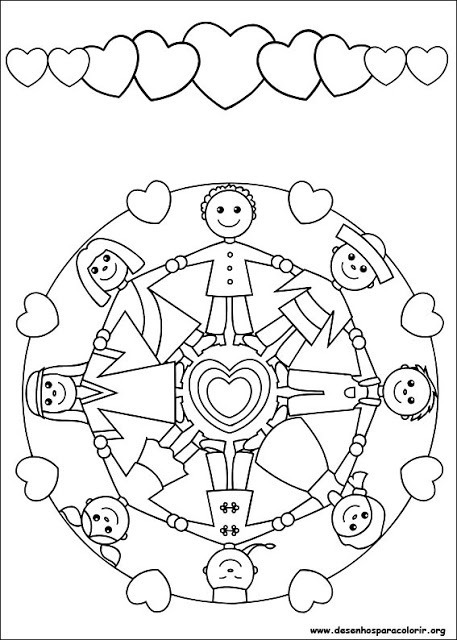 Grab your colored pencils or crayons and enjoy this printable Friends Around the World Coloring Page! Today’s holiday was established in 1982 by the International Council of Monuments and Sites to celebrate the joint history and heritage of the human race. World Heritage Day invites us to honor all of the world’s cultures and promotes awareness of important cultural monuments and sites in order to preserve these valuable historical places. Nearly 10,000 members from more than 150 countries, including architects, engineers, artists, geologists, civil engineers, and architects, work tirelessly to protect the world’s cultural achievements. If you visited Annika at school in Copenhagan, Denmark, you would probably spend most of the day outside. Some days the students take a bus to their forest school. There the “run and climb on an old boat.” They “play on swings and with a ball.” Outside they also listen to birds and learn about plants and insects and other parts of nature. While Annika enjoys spending cold days outside, Ana’s days are usually warm. She lives in San Luis, Honduras and walks an hour from her home in the hills to her new school. Inside, two teachers show the children how to read and write. Sometimes, Ana says, “a nurse visits our school. She teaches us how to brush our teeth and stay healthy.” One day a van delivers backpacks full of school supplies, books, and even running shoes. You’ll travel the world as you unscramble the names of 15 world monuments in this printable Monumental Word Scramble Puzzle.